Chairman of the Gynecology Department at Instituto Valenciano de Oncología (IVO), in Valencia, Spain. Professor of Medicine at CEU Cardenal Herrera University in Valencia, Spain. Dr Lucas Minig grew up in Argentina where he obtained his Medical degree at the Universidad Católica de Córdoba in 2000. He then completed his residency training program in Obstetrics and Gynecology at Hospital Italiano de Buenos Aires, Argentina, from 2001 to 2005. His clinical and academic achievements, along with his leadership qualities, awarded him the position of Chief of Residents one year later. During his residency, Dr. Minig designed and coordinated several research projects focused on gynecological surgery. From 2006 to 2008, he completed a two-year fellowship training program in Gynecologic Oncology in the European Institute of Oncology, in Milan, Italy. He gained substantial expertise in gynecologic oncology surgery, including robotic surgery; during this time, he acquired critical reasoning and a solid decision-making strategy in this field. He also designed and conducted several clinical research projects, some of them currently ongoing, related to the recovery of patients undergoing gynecologic oncology surgery. In 2008, Dr. Lucas Minig obtained a position as a Postdoctoral Fellow at the National Cancer Institute, National Institutes of Health in Bethesda, MD, USA. He participated in many projects focused on molecular signaling and genetic mutations of gynecological cancers. He still actively participates in many ongoing clinical projects, some of them already published in worldwide medical journals. From 2010 to 2014, he led the Gynecologic Oncology Unit at Clara Campal Comprehensive Cancer Center, in Madrid, Spain. Since September of 2014 he is the Head of the Gynecology Department at Instituto Valenciano de Oncología (IVO), in Valencia, Spain. 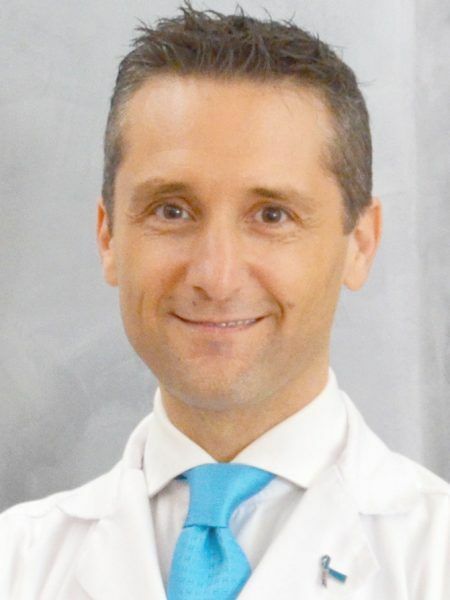 Since 2017, he is a Professor of Medicine at CEU Cardenal Herrera University in Valencia, Spain. He is also Author of many book chapters as well as several scientific articles published in International Journals indexed in PubMed Central. Nowadays, he is fully dedicated to clinical activity with patients, as well as educational activities with medical students, residents, and fellows. Furthermore, he is committed to clinical research for women with gynecological malignancies.